Esprit Marina del Rey Luxury Apartment Community offers a March Madness special for $1,000 off one-bedroom apartments during the month of March. Esprit features world-class amenities including a saltwater lap pool and state-of-the-art fitness center. Go to TodayMarinadelRey.com to learn more. Esprit in Marina del Rey offers luxury apartment homes for rent with gorgeous oceanfront views and world-class amenities including a saltwater lap pool, multiple spas and weekly exercise classes. For more information visit TodayMarinadelRey.com. MARINA DEL REY, CA--(Marketwire - Mar 15, 2012) - TodayMarinadelRey.com, known for its lineup of luxury apartment communities with breathtaking harbor views and resort-style amenities, is heating things up with a March Madness special. For the month of March, Esprit Marina del Rey is offering $1,000 off its one-bedroom apartment homes -- what bracket promises that kind of return? If the big games have you inspired, get training at Esprit's state-of-the-art fitness center, take laps in the heated saltwater pool lanes, or join weekly exercise classes. Mariners Village residents can enjoy a variety of cardio classes. Try DCX Fitness' Cardio Kickboxing and All Over Body Conditioning, shake your hips with Hot Hula Jo's Hot Hula Class or get moving with Angela Ferendo's weekly Zumba classes. Esprit residents can host the ultimate March Madness party in the property's spacious event room, already set up with a big screen TV. Or for those that prefer to sit back and relax, residents at Marina Harbor can enjoy a variety of fine wine and specialty Italian foods at Italian Night on March 21 and Bar Harbor residents can enjoy the sunset in the beautiful, green courtyards. 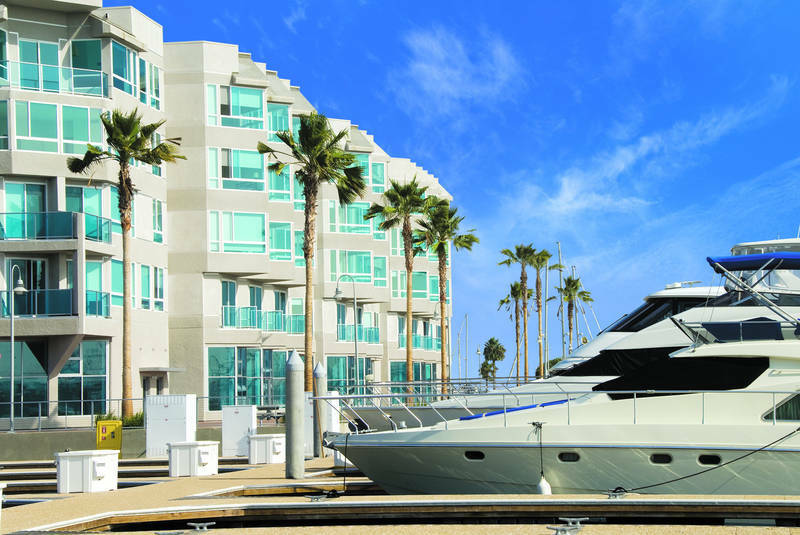 Tucked away along the Marina del Rey harbor and mere minutes from Santa Monica and Venice Beach, Today Marina del Rey properties offer oceanfront apartments for rent, as well as secure boat slips with dock access to bring the full marina lifestyle to your backyard. The unparalleled accommodations of these waterfront apartment homes make Marina del Rey the ultimate place for Los Angeles living, sailing, shopping and exploring. 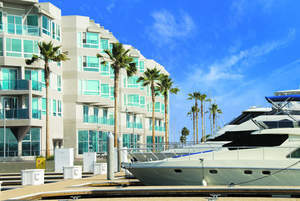 Check out TodayMarinadelRey.com to explore apartment rentals, beachside communities and leasing rates.